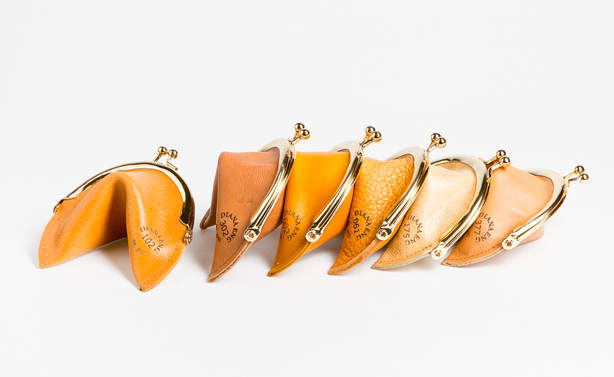 What It Is: Insanely cute, one-of-a-kind numbered change purses in the shape of fortune cookies from designer Diana Eng. Each purse is made from a unique source – whether leftover from furniture upholstery, the fashion district, or even rescued from the trash, you can guarantee it’s been lovingly salvaged and repurposed into a super cute, just-for-you purse accessory. Bonus! Each purse comes with its own little gift bag, and has a fortune sewn inside. Who It’s For: Your astrology-obsessed sister, to wish her good fortune on her birthday. Your quirky cadre of bridesmaids, as lovely bridal party gifts. Your spouse, on your anniversary, to show how fortunate you are to have her in your life. What It Costs: Each purse is $65. Where It’s At: Diana Eng’s online shop. These are the cutest gifts I’ve ever seen!